Christopher earned his Juris Doctor degree from the University of Denver Sturm College of Law, where he was appointed President of the Student Trial Lawyers Association, and participated in the Corporate and Commercial Law program. Christopher co-captained the university’s International Commercial Arbitration moot court team, which competed in the Willem C. Vis ICA competition in Shanghai, China, Hong Kong and Vienna. Christopher also served as Mediator for the Denver City and County courts, successfully mediating a contentious libel suit, as well as a number of FED, and other small claims disputes prior to graduating from law school. A native of Oxford, England, Christopher has previously worked in the UK in risk management and systems development for both city government and the National Health Service. Christopher has also worked in the US as an attorney with the esteemed law firm Hepworth & Associates, as well as in the wholesale finance, securities and investment banking, and mortgage banking industries. 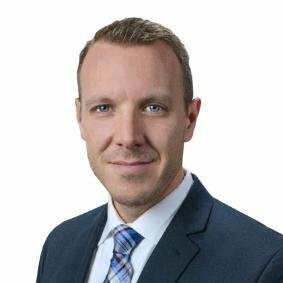 Christopher is a certified Professional in Human Resources (PHR) and a Governance, Risk and Compliance Professional (GRCP), and is currently admitted to practice as an attorney in Federal and Utah state courts. Christopher also holds a Bachelor of Science degree in Business Management from Brigham Young University’s Marriott School of Management.